The Covenant Design Group has offered up a new draft for a proposed Anglican Covenant - the St. Andrew's Draft. 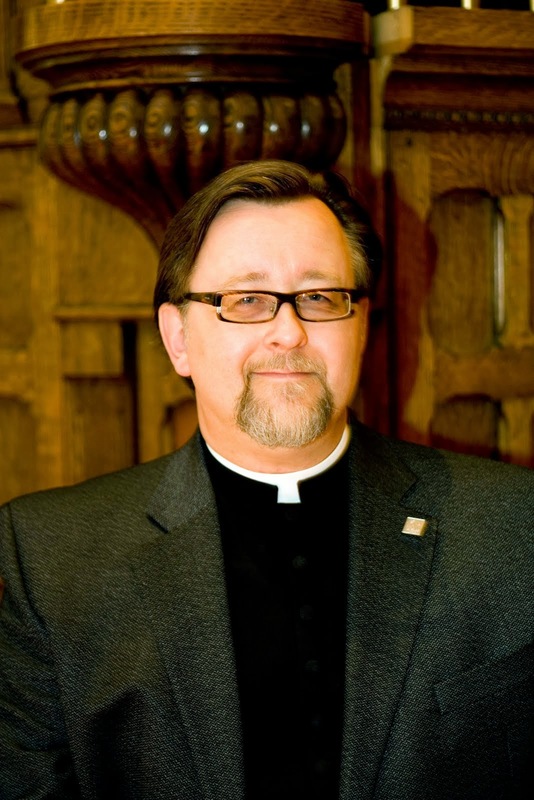 You can find the Anglican Communion Office news release here. The release, in turn, links to the rest of the draft, including the appendix, as well as to the first or Nassau Draft. The St. Andrew's Draft is better than the Nassau Draft - in much the same way that being punched in the stomach is better than being punched in the testicles. The pain is a little less acute, but you still come away feeling violated. The new draft does pay lip service to some of the objections that had been raised. It acknowledges that some people apart from bishops have a role in the governance of the church - mostly as a hypothetical construct. It doesn't assign all juridical authority to the Primate's Meeting - but the Primates Meeting would still have the authority to act against Provinces that actually exercised their autonomy. There are those who believe that the concept of an Anglican Covenant is a good one - that an Anglican Covenant could be a means to define and refine our understanding of Anglican identity. I don't agree with those folk that such a thing is either necessary or helpful. But I will agree that, conceptually, an Anglican Covenant is not necessarily a destructive idea per se. But neither the Nassau Draft nor the St. Andrew's Draft are about expressing our Anglican identity. This Covenant is about providing a club with which to beat "difficult" Provinces into submission. 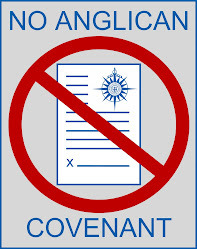 This Covenant is about overthrowing fundamental Anglican ideals and subjecting every Anglican Province to the governance of foreign prelates. The St. Andrew's Draft even provides a clearly defined bureaucratic structure to enforce it's draconian vision for an Anglican Communion where freedom is abolished, grace abrogated and Calvinist legalism imposed on all and sundry. This Covenant represents the triumph of law over grace. It overthrows Anglican identity. It abolishes the Gospel. It establishes for evermore a quasi-curial dictatorship. It destroys synodical government and replaces it with government by bullies (phoberistocracy?). This isn't the first time that would-be Puritans have tried to establish international juridical structures to control the Communion. The first several Lambeth conferences shot down proposals for precisely these kinds of ecclesiastical kangaroo courts. I have never been a supporter of this Anglican Covenant nonsense. If we can meet together, no Covenant is required. If we cannot meet, no Covenant will suffice. Even the best designed Covenant would be unhelpful at least and irrelevant at best. But this is not a well designed Covenant. It is a recipe for power-mad schemers to destroy the very essence of Anglican polity while imposing a legalistic and intolerant authoritarianism. There is a Canadian joke that our country was intended to have British government, French cuisine and American know-how. Instead we got French government, American cuisine and British know-how. Anglicanism, historically, has been the via media between the extremes of Rome and Geneva - taking the best of each. In the St. Andrew's draft, we have opted instead the worst. as i read it, no authority at all is given to the primates meeting to act against anyone. all they can do is complain to the ABC, who will, with two assessors, decide whether more should be done, and the more is under the supervision not of the complaining primates but of the ACC. and, for the first time, our primate gets to complain too, which if she does so, will be salutary. I'm not fond of implied reliance on the 1662 BCP and 39 Articles to guide the faith of the Church, and I have some questions about the disciplinary language, but I favor the balance for giving some reasonable definition to what it is to be Anglican in a world-wide communion. From what I understand, our Faith Worship and Ministry group has just finished meeting to discuss the Covenant. I haven't seen anything in print yet, but I will be keeping an eye open to see what they recommend. I think the idea (per se) of a covenant is a good start; covenants in themselves should speak to relationships (grace?) rather than law. The tricky part comes when there are elements in the covenant which are binding. In my preliminary thoughts I consider the idea of the marriage covenant, which has as its primary focus the relationship of love, but is not without its binding elements. This will be a very difficult path for us all.